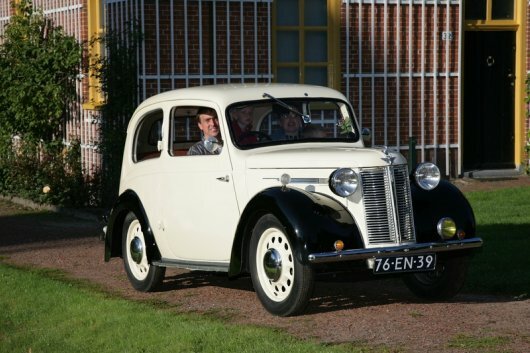 Making its debut in the spring of 1939, the Austin Eight was the replacement for the 900cc Big Seven which had been added to the Austin Seven range in July 1937. The new model echoed the styling theme of the re-vamped 10hp and 12hp models and boasted a newly designed platform-type chassis. 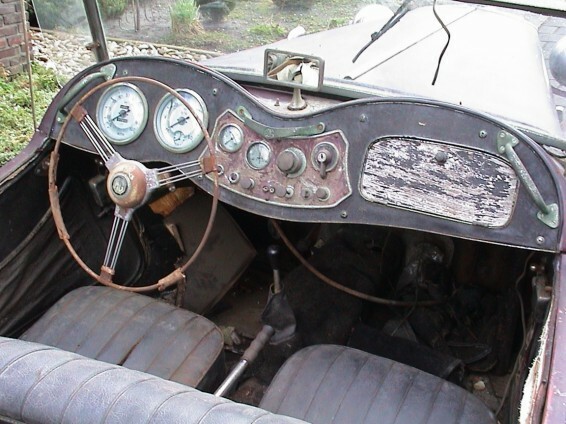 The engine of the Big Seven was retained and the car was available in two and four-door saloon versions and as an open four-seater tourer. The two door saloon was called the fourlight saloon and the four door saloon was called the sixlight saloon. 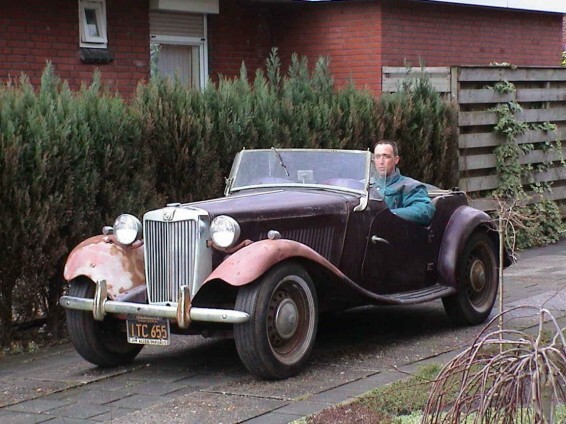 From 1939 - 1942 about 20.000 Austin Eights have been build. How many were build in the different versions is not known. The four-door version was re-introduced immediately after the Second World War and continued in production until late 1947. The post war production was about 30.000 cars. Which makes a total of about 50.000 Eights produced from 1939 - 1947. Also the Austin Eight was available as van, and has been delivered as military cars during WWII. .
My car for restoration is a MG TD which is build in 1951. 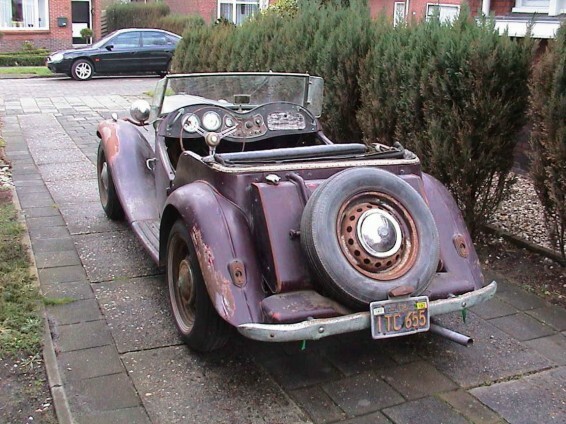 The car is an original Californian black plate car, with original 1250 cc XPAG engine. The car and engine are complete number matching with the original type plates. The car is delivered to Lawndale California in 1951. 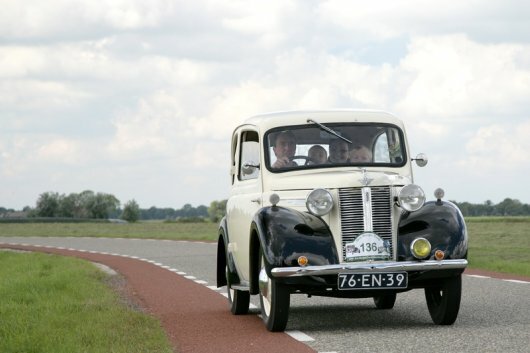 The car was on the road for the first time in 1952. 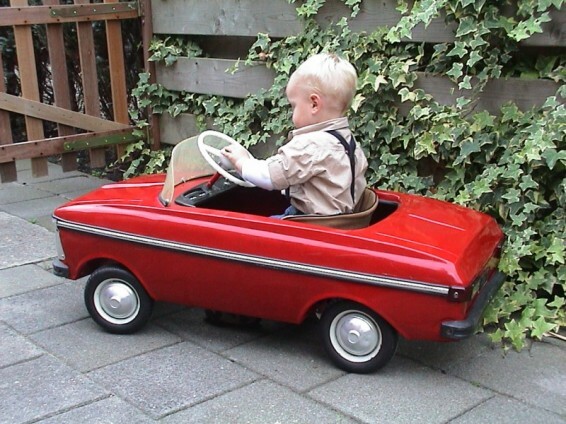 The car changed from owner ones in 1968. 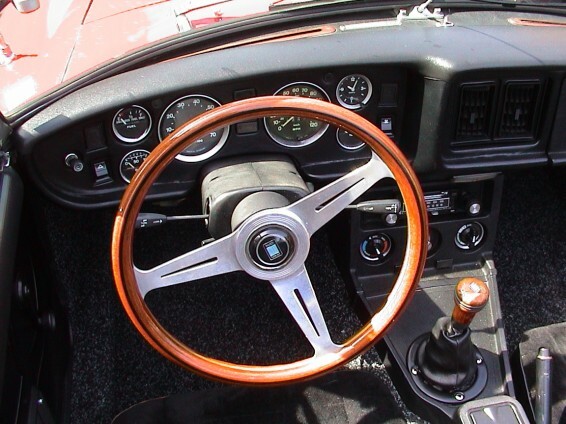 At that time the car was re-painted to aubergine and the interior was made black. The car drove with this new colours till 1972. Since then it stood still, after I have bought beginning 2005. 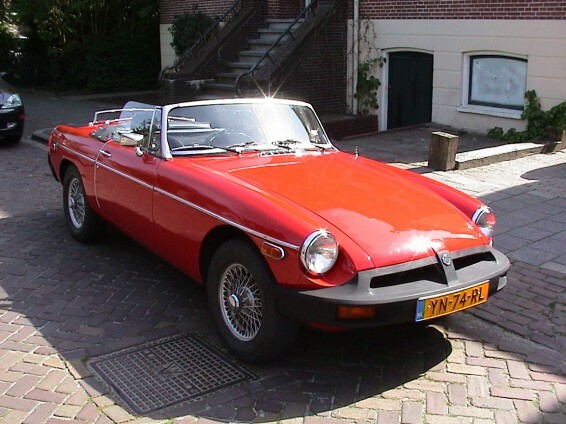 The original colour of the car is MG red, with beige interior en tan hood. The steel of the car is in excellent shape, but al rubber parts are gone and the interior of the car was also in bad shape because of the burning sun. The retortion is in progress. I hope that the car is up and running again within a few years. For more information about the restoration, see the restoration paragraph on this web page. This car was sold in August 2010. We have bought it in 2000, so it was with us for 10 years. 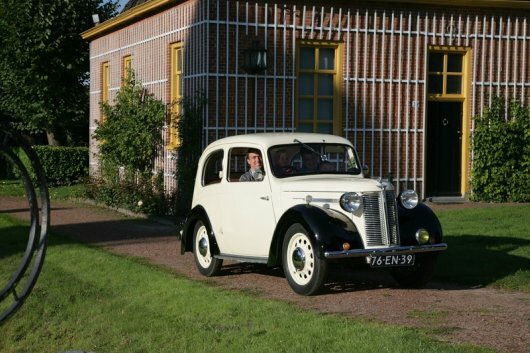 Now we have an 1939 Austin Eight Four light Saloon in stead which has brought us many enjoyable moments for the complete family. Now my wife and my two children can join me on our trips. The Austin Eight is shown at the first chapter of this paragraph. 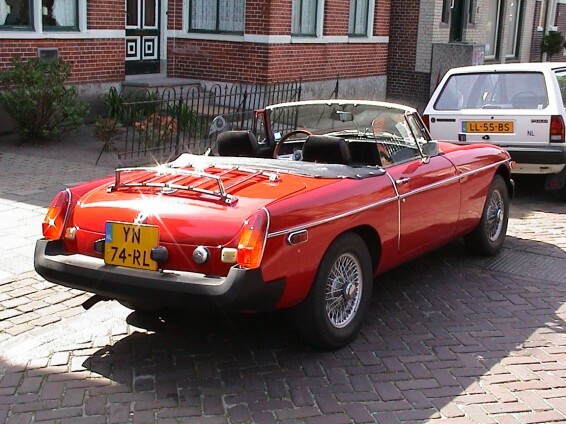 MGB roadster of 1977. It is a rubber bumper which originally was delivered in Beverly Hills. 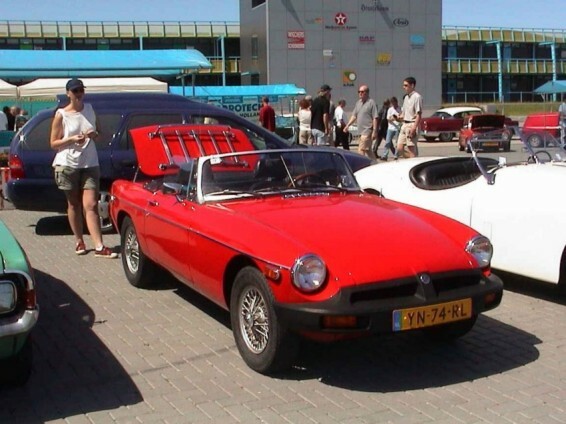 In 1990 the car was imported to Holland. At that time the car must have been changed to the shape it is in still now. According to the information given to me by the British Heritage trust the car originally has been delivered in the color british racing green, autumn leaf interior, wire wheels and white wall tires. 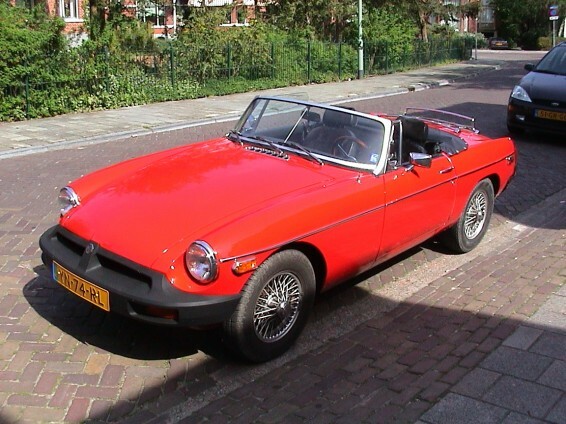 Now the car is MG red with black interior. The wire wheels are still on, but the white wall tyres have changed to black. This car I drive in the weekends and during Holidays. 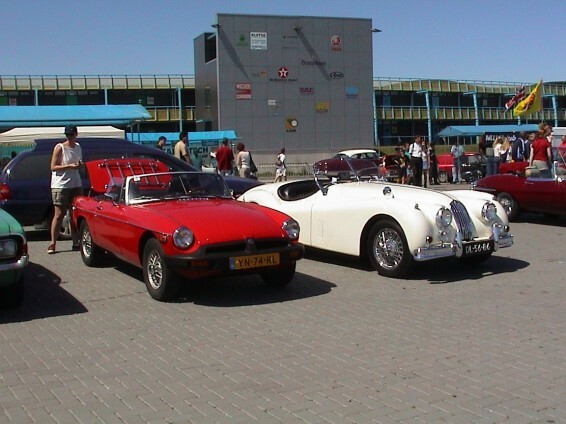 We travel with the car to car events in the northern Part of Holland and Germany. I have two original Doepke MG TD's. 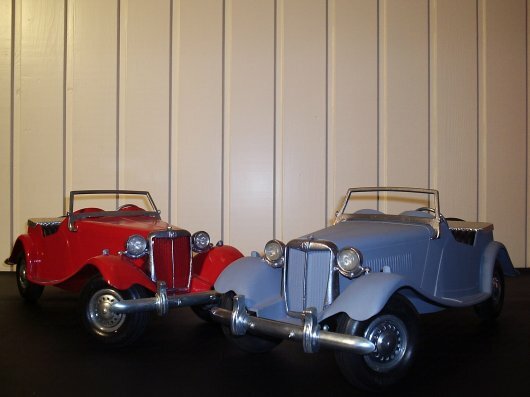 One of them is in the original Gray primer, the other one is restored in MG red colour. To find out more about Doepke model toys, just click the image below. 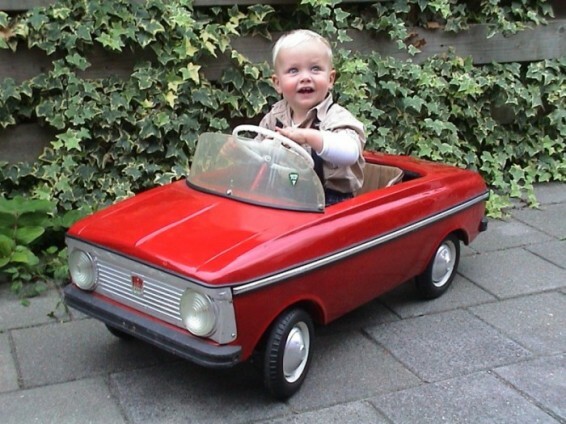 Our son Tim is already an Classic Car enthusiast, here he drives his Moskvitch 408 with pride. The fire engine car collection of my father. My father, brother in law and me have bundled our hobbies. My father crazy for old mechanical techniques, my brother in law crazy for fire fighting and me crazy for cars. We thought it seemed to be the most optimal if we are going to collect some fire fighters. The first car was bought soon, a Dodge ladder truck build in 1945, with Geessink ladder package. The nicest thing about this car is that the stairs are operated only by hand by use of handles and wheels. Therefore it is almost like a dinky toy scale 1:1. Once the collection was existing 5 fire engines in total. A Dodge T110 L 1945 ladder truck, Dodge T110 L 1947, Commer 1954, Chevrolet 1955 and Daf 1963. Most of the cars are sold now. The Commer of 1954 and the Dodge T110 L with ladder is left. To see more about the fire engines of my father click here, or the picture below.